Hi everyone, I’ve been working hard behind the scenes over here to create a new set of unit studies! 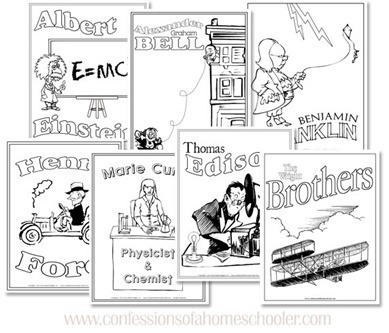 This series is all about famous Scientists & Inventors! As usual each study includes fun hands-on activities to go along with the unit to help students remember what they’ve learned, and also provide them with a fun reference too to review and recall each person they’ve learned about. 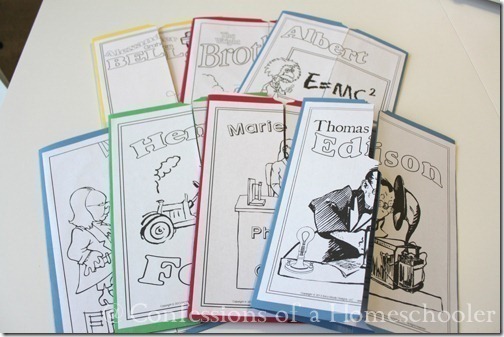 Each of my scientist & inventor unit studies contains educational lessons, activities and a fun lap book that your students will work on as they progress through the study. The lessons also include book reports, vocabulary, character traits of these important figures, and critical thinking skills. I currently have 7 studies in this series. These studies are geared towards grades Kindergarten-4th, but can probably be adapted for older students as well. 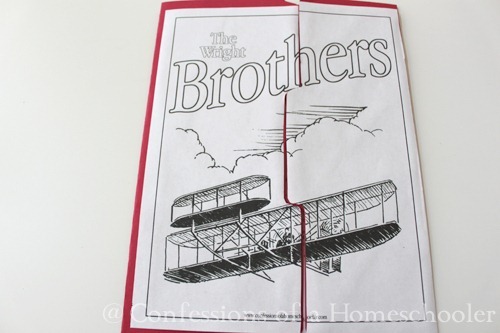 Today I’m pleased to present The Wright Brothers Unit Study. The Wright Brothers were two American inventors and aviation pioneers credited with inventing the world’s first successful pilot-controlled, powered airplane. Orville Wright was born August 19, 1871 in Dayton Ohio, and Wilbur Wright was born April 16, 1867 in Millville, Indiana. The brothers most important discovery was the invention of three-axis control which enabled the pilot to steer the aircraft well enough to effectively maintain its equilibrium. Their first and very famous sustained human flight took place on December 17, 1903. The first flight was made by Orville and went a total of 120 feet in 12 seconds at a speed of 6.8 mph. The next two flights covered approximately 175 feet and 200 feet by Wilbur and Orville respectively. The brothers later started up The Wright Company to build and sell airplanes as well as train pilots. And just 66 years after their first flight at Kitty Hawk, a Saturn V rocket carried three American astronauts 240,000 miles to the moon! 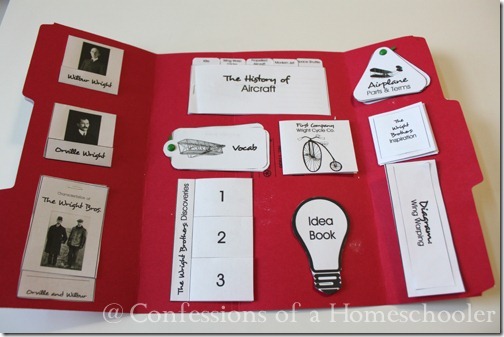 This study uses the Wright Brothers scientists and inventors series by Mike Venezia, but students are welcome to use any other researched information they can find as well. I would highly encourage older students to do some independent research on their scientist and inventor prior to completing their final report. The study also includes a final report on the Wright Brothers for students to complete. 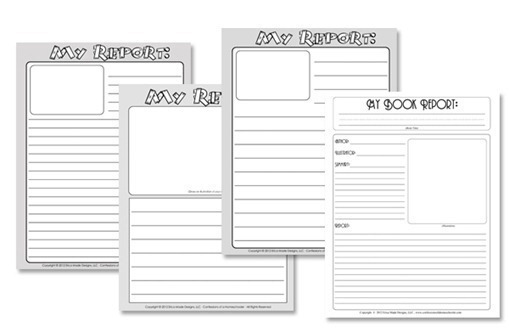 There are several different formats of the report to accommodate varying student grade levels that might be completing the unit. Ready to get started? Get this unit now! Can’t wait for the others to release? 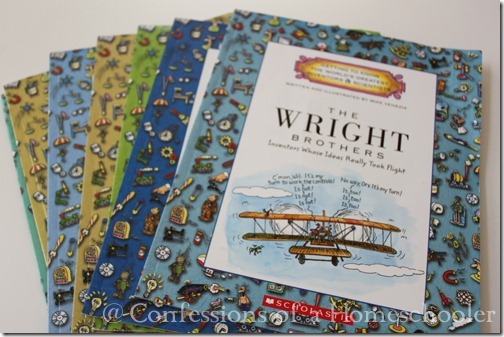 I’m offering a FREE copy of the Wright Brothers Unit Study to one of my readers! 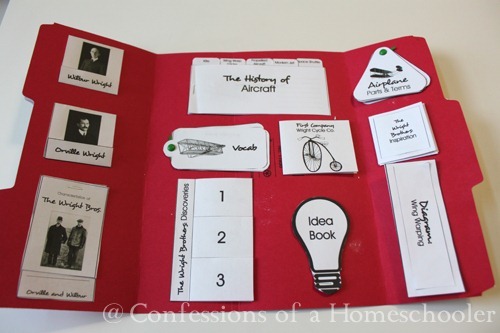 We’re starting a unit about the Wright brothers this week, so winning this would be wonderful! 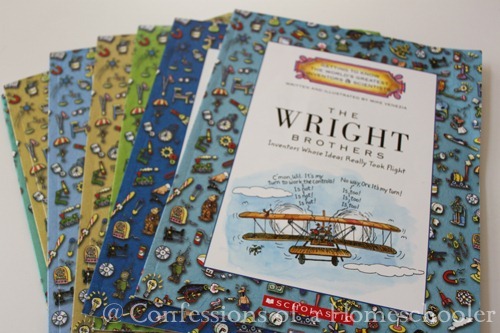 The Wright Brothers are definitely two people I’d like to learn more about. We’d love to learn about Benjamin Franklin! My daughter recently checked out a book from the library about airplanes and LOVED it! She keeps asking more and more about planes, so we would love to learn more about the Wright brothers. Leonardo da Vinci. I know he was known for his art but was also interested and worked in Science as well. We are exploring the Wright Brothers this week with a trip planned to a local airplane museum. All the packs look amazing.